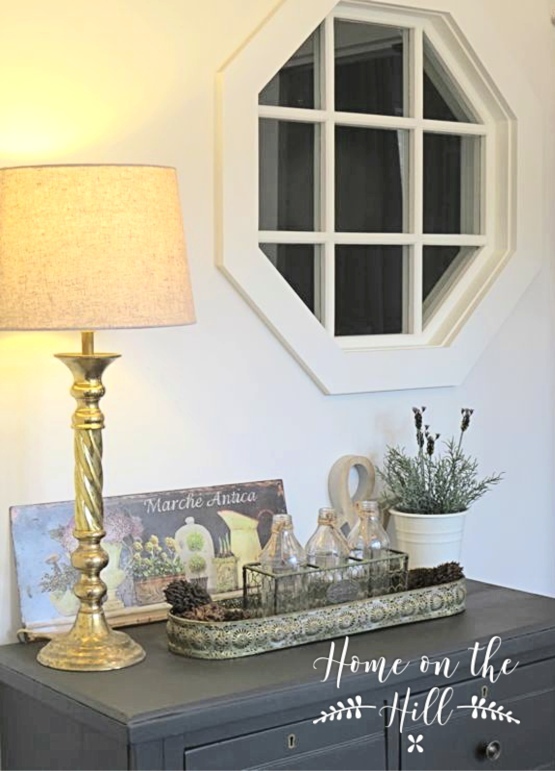 Continuing on from an earlier post 'Windows - You can never have too many' about my love of windows, I promised an update on how the windows look actually installed in our interior walls. The window in the wall - well one of two actually. 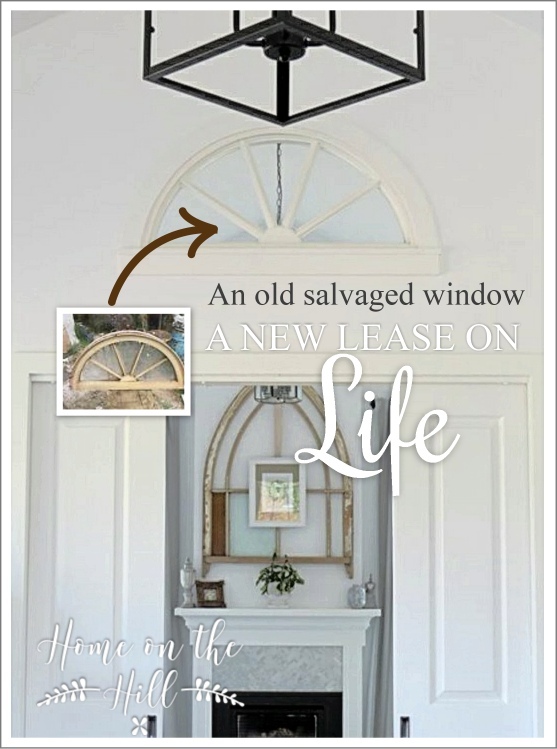 This arched wall window between the dining and family rooms was an old salvaged window I found locally on eBay for $50. It was really grimy and covered with multiple layers of paint from all the years it had spent in an exterior wall of some old building, that has probably now been demolished. But part of it lives on in our home, the old window after some TLC and minor adjustments now has a new lease on life in our wall, but in a rather cushy out of the weather situation for a window! It wasn't part of the original house plans, I didn't buy it until the house was framed up and the roof was on. But luckily before the plastering had begun, so it was easy enough for the wall frame to be adapted to fit it whilst we cleaned it up and gave it a fresh coat of paint. It still lets in light (as it was designed to do) to the family room in the morning when the doors are closed, from the sun that streams into the kitchen. In the afternoon it does reverse duty letting light into the dining room/kitchen from the family room windows that face North West . The fact that it mimics in the design the arched top to our kitchen window at the other side of the house gives continuity to the room. Now for window in the wall number two. Our second window in the wall has no such history as window in the wall one. It was designed by me and made by my husband to go in a wall where it to lets in light, and adds a touch of the quirky to our entry foyer. 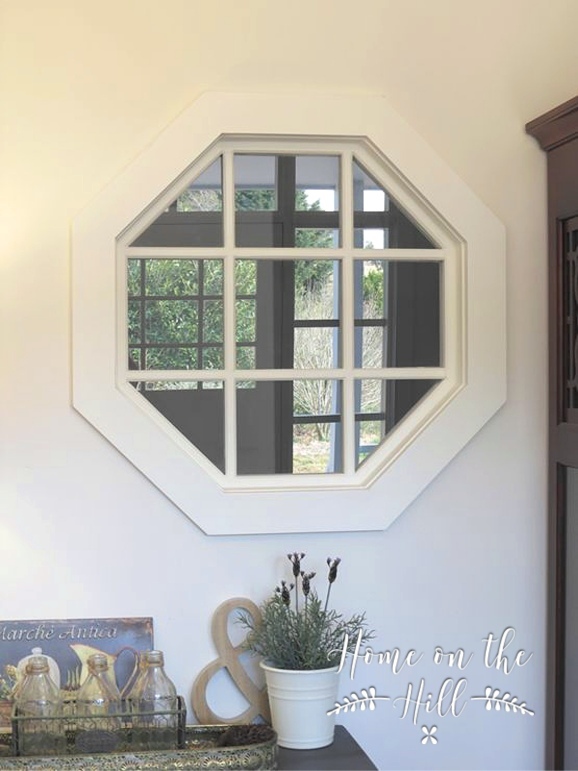 This octagonal window was made to the size we wanted and was always part of the house plan. I was planning on a circular window originally, but they are not so easy to make and the window is opposite the front door with it's rectangular glass, so the straight lines in the octagonal design actually works well with the rest of the entry foyer. It is one of the first things you see as you enter the house and several people have though it was actually a mirror as it reflects the light coming in the front door as seen in the photo below, but it is clear glass, and this was intentional because although it's purpose in the entry foyer is purely aesthetic, it has a practical purpose for the room on the other side of the wall. It lets light into a small room with no windows more or less located in the middle of the house - it allows enough light into the linen room so I don't need to always turn on the light (yes, I said linen room - but that's another post!). I love windows and think you have been wonderfully creative with all your windows. There is nothing like getting light into a room naturally and being able to look out onto beautiful gardens from all areas of your home. 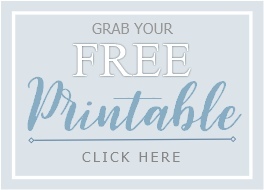 Congratulations on this whole blog. Lots of very interesting features.